Hey there! My name is Chloe and I’m joining as a fundraiser to show support for people who have chronic kidney disease. I’ve been doing charity since young but recently I’ve not been that active in such groups so this is a great opportunity for me to get back on track to show my support and care for others! There are many ways for you and I to donate to kidney disease charity such as time,money and many more! Chronic kidney disease is a serious health condition. It is also difficult for some kidney patients from lower income groups to pay for their dialysis treatment. We could also raise awareness through sharing the word and also more people will be able to lend a helping hand to these groups. You and I can also donate some of our ang pao money to them. The amount does not matter as long as we are a part of this to make a difference. So, what are y’all waiting for? 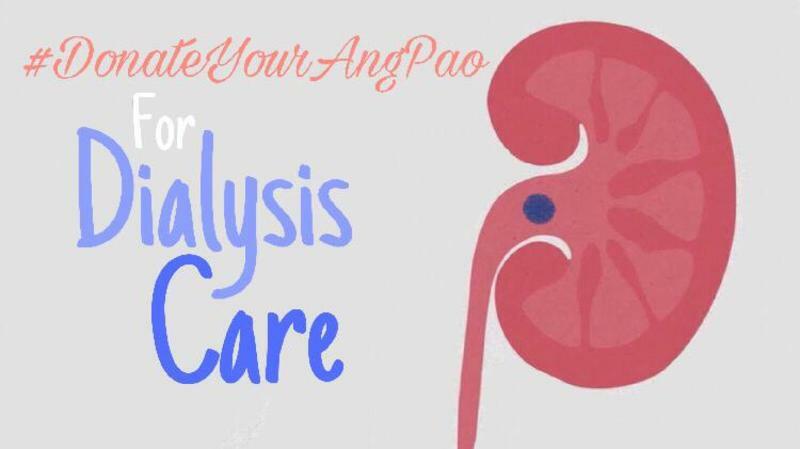 Go an extra mile this Chinese New Year season and donate some of your angpaos to fund these kidney patients!